The Byron girl’s soccer team poses for a picture after winning their own regional over Rockford Christian, 2-0, on Friday, May 11. 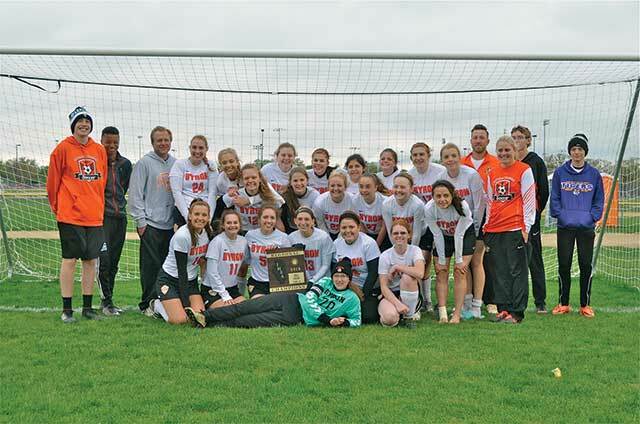 The Byron Tigers and Stillman Valley Cardinals girl’s soccer teams have once again taken regional crowns in the IHSA play-offs. Stillman has done so for the seventh straight year now by handily defeating Oregon at the Oregon Regional, 6-0, on Friday, May 11. 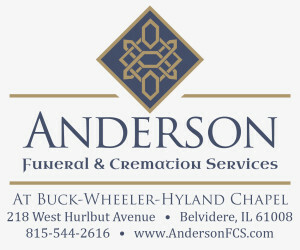 The Lady Cardinals tallied twice in the first half and then iced the game by smacking in four second-half goals. Reagan Wiehle and Kassidi Schabacker led the way with two goals apiece, while Lauren Lyons and Maddi Doss each chipped in with a goal each. Byron took a 2-0 lead in the first half of their game against Rockford Christian at the Byron regional, also played on Friday, May 11. Meghan McCarey scored the first goal by splitting two defenders and knocking the ball past the Rockford Christian goalie earlier in the first half. Later in the half McCarey score the second goal on a penalty kick.